The Fr. 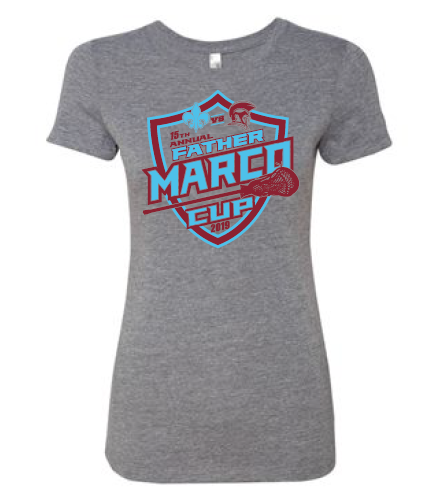 Marco Cup is an annual tribute lacrosse event between all three levels of the De Smet and St. Louis U. High Jesuit Lacrosse Clubs, the two Jesuit powerhouses from St. Louis, Missouri. The event honors Fr. Michael Marchlewski (Fr. Marco), who has served for many years teaching at both schools and has been a spiritual leader for both lacrosse clubs. In keeping with the Jesuit mission, the clubs choose to be “Men for Others”, expressing through their competition the Greater Glory of God and giving back to organizations in the St. Louis area in a day filled with fellowship, fun, and great lacrosse. The Fr. 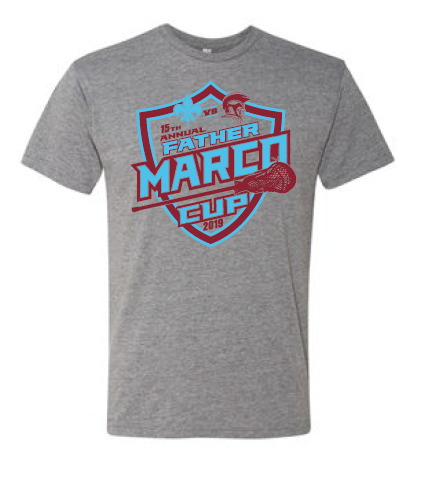 Marco Cup is the traveling prize awarded to the winner of the varsity game. All net proceeds go directly to organizations supported. Since its inception in 2005, the event has raised more than $200,000. Click on the link below to view the action from 2016! Loyola Academy of St. Louis is a Jesuit middle school for boys who have the potential for college preparatory work, but whose progress may be impeded by economic or social circumstances. Provides scholarships, mentoring and lacrosse instruction to economically disadvantaged youth in the St. Louis area. Registration Required by all Families planning on attending Fr. Marco Cup. Click on the following link to register, order T-Shirts and lunch. Players and their immediate families enjoy a complimentary, BBQ lunch! Additional lunch wristbands are available for purchase for $11/person. Lunch includes pulled pork BBQ, burgers, hot dogs, snacks and drinks. EVERYONE MUST REGISTER FOR LUNCH TO GET AN ACCURATE FOOD COUNT. Pre-Order price $15.00.Game Day price $20 (game day very limited stock and size).We encourage everyone (friends/family) to purchase a shirt and wear it to the event. Team players all receive a T-Shirt included with original club fees. Gray Tri-blend T-Shirt that is light, durable and soft.Athletic fit, so if in doubt we recommend that you order one size up.Men and Ladies fit offered this year. Accepting donation of any used Lacrosse cleats, gloves, pads, helmets, sticks and balls in usable condition. Collection benefits to the Loyola Academy lacrosse program. Please bring items to game day for collection.